Time to make the limoncello | Where have the days gone? It’s that time of year again! Well, actually, it’s been “that time” for over a month now, but I was late in finding organic lemons. Peel the lemons, but only get the yellow part. 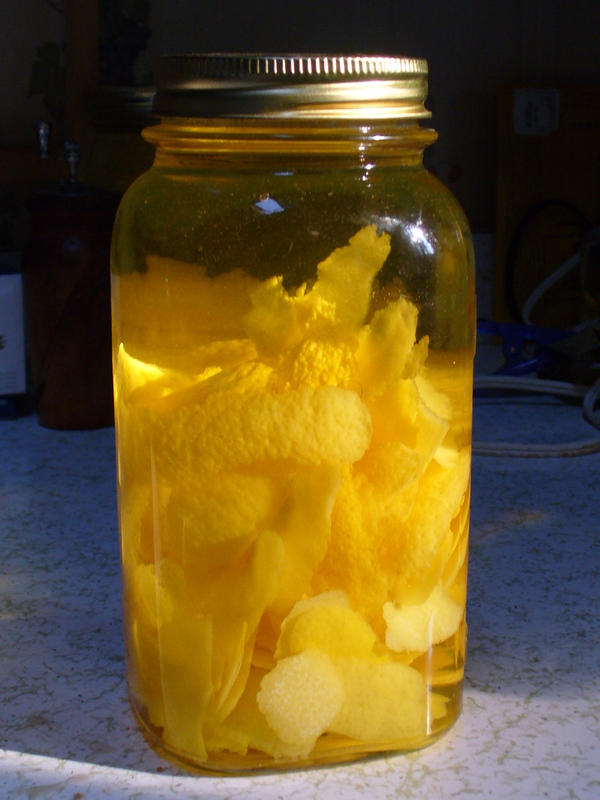 Put the peels into a glass jar, and add the vodka. Let it stand for 3 weeks. Yes, that’s right – patience, grasshopper! On the Day, strain the lovely lemony yellow vodka into a large bowl. Make a simple syrup by heating together the water and sugar till they’re clear. Allow it to cool to the touch. Mix the syrup with the vodka. Put into wide-mouth containers of some type, and freeze. You end up with sweet, slushy, refreshing, knock-you-off-your-feet goodness! 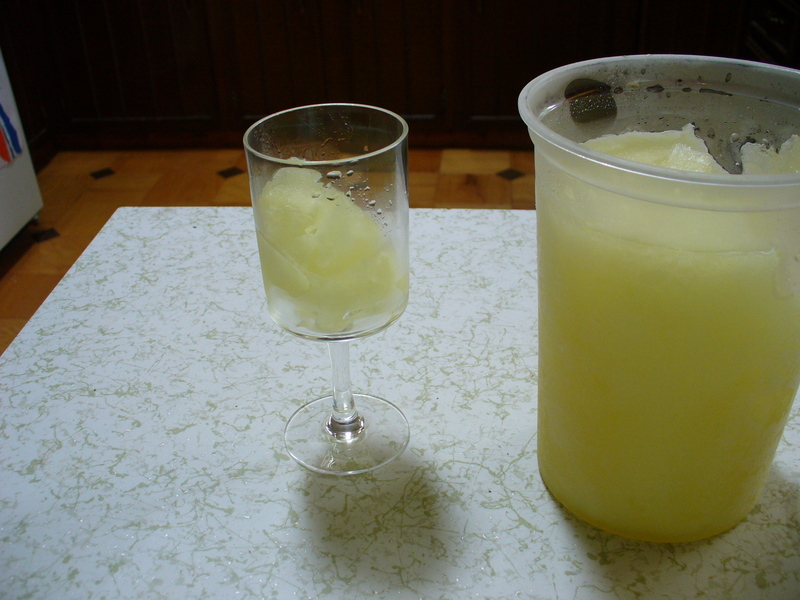 have just placed an order with ian to bring back a bottle of good vodka on his way back into the country form aus..
My friend who spent much of his growing up years keeps threatening to make limoncello but he never gets around to it. Yours looks delicious.